This dish, which is served cold, is very simple but nice: it's basically thin slices of silky tofu with chicken floss layered in between, sprinkled with seaweed and served with a simple soya sauce dressing. The texture of the rice is just dry enough and thankfully, not too oily - and tasted lovely when eaten with the "Latt Chiew Yauw" (Chili oil). They are not as expensive as other Hongkie places, but not that cheap either. 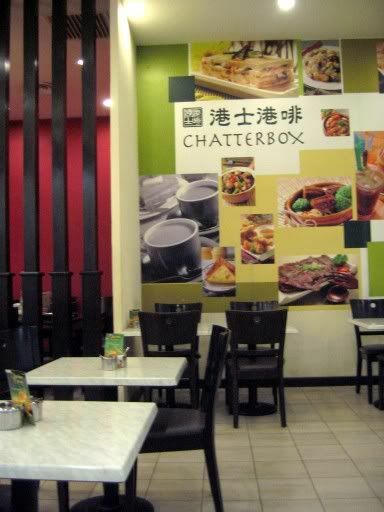 Overall, it's worth a try: Decent servings for decent prices (and they taste pretty good too). :o u mean one noodle charge u for da chili oil??? halal or not? it's so hard to want to enjoy a meal at a hong kong restaurant because they never display whether it's halal or not. and the dishes always looks so nice! kena tahan la...cause everything has pork pork pork. so what about this one? So, what time works best for you? Haven't tried that yet - sounds good. 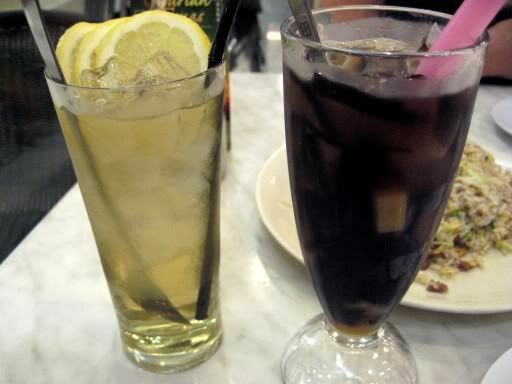 I usually drink the "Yin Yong" every single time (I am too predictable). Yeah! - One Noodle will only give you the first bit of chili oil free. I think it's pretty hard to find a good HK restaurant that is halal actually. I will keep an eye out though. definitely on my must-try list! The chicken floss tofu looks goood. You should try it out some time. It's really good (the tofu). Tell me what you think after you try it. I think it's alright for the price - tastes good (altho a biiiit oily), ok price, ok serving. How much you want to eat lah? 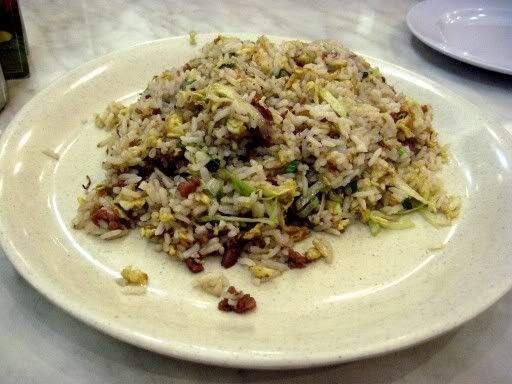 One gunung of fried rice? Ben of Fly.fm dj took me there a while ago..
simple but tasty and good. satisfy your lunch and dinner needs or may be just a drink of red bean and chinchow. see you at bangsar village. b at bangsar village all.